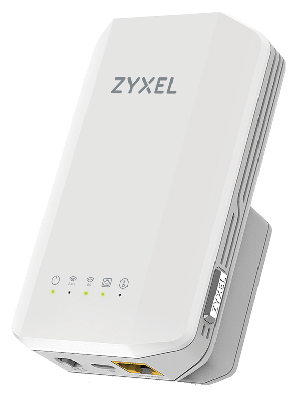 The Zyxel WRE6606 is the first enhanced proprietary-design 2x2 MU-MIMO dual-band wireless range extender that expands existing concurrent dualband wireless networks. Eliminate dead zones and improve your home’s wireless signal coverage through an existing wireless router or access point. The WRE6606 features a micro USB power port for an external power bank, enabling flexible placement for optimal signal extension. 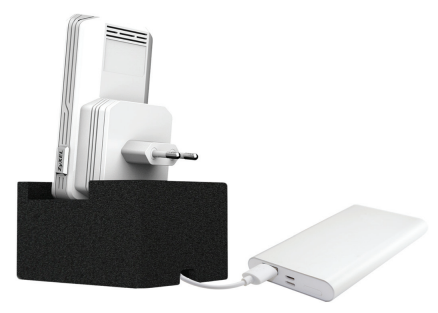 The external power supply option also offers more options for temporary deployment of the Wi-Fi extender where no power outlet is available. The Zyxel WRE6606 can act as an access point, enabling you to create a powerful wireless 2x2 AC MU-MIMO network capable of speeds of up to 400 Mbps at 2.4 GHz and 867 Mbps at 5 GHz, delivering the best possible Wi-Fi performance. Zyxel ONE Connect support provides auto configuration. SSID cloning for easy roaming under one wireless network (one SSID) at home with Zyxel ONE Connect supported router. Get better performance from your MU-MIMO-ready wireless devices. Unlike traditional MIMO wireless, the Zyxel WRE6606 MU-MIMO technology provides fast wireless connections, even when you simultaneously connect multiple wireless devices to the repeater. The Zyxel WRE6606 includes a micro USB port for connecting portable power banks, enabling you to locate a signal sweet spot to extend your existing wireless network. Forget about constantly searching for wall outlets to power up your device. The Zyxel WRE6606’s USB power port provides you with the ability to temporarily extend network coverage beyond the walls of your home. Take advantage of extended WiFi coverage when relaxing in your backyard or provide wireless network service for outdoor events. Enjoy the flexibility of choosing how you want to use your Zyxel WRE6606. 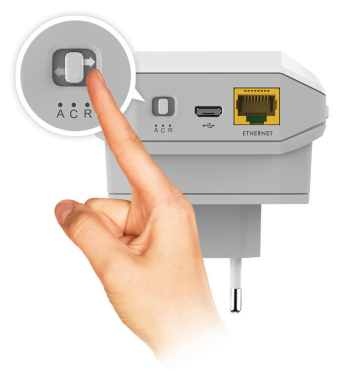 Simply switch from access point, extender, or client mode with the push of a button. Do you just want to create a modern MU-MIMO wireless network? Use the access point mode. Want to extend your existing wireless network? Select the extender mode. Or do you prefer to connect your wired devices with MU-MIMO capability? Choose the client mode. It’s that easy. The Zyxel WRE6606 includes three different boost modes to enhance your wireless experience. 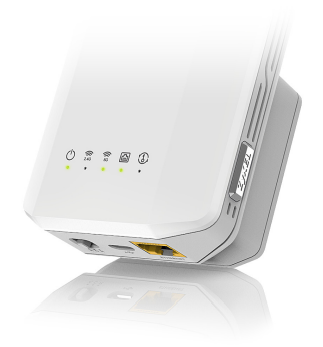 Range boost provides maximum wireless coverage from the upper router. Speed boost kicks the upper router into overdrive for extreme wireless performance for online games and media streaming. Normal mode offers the best of both worlds with optimal range and speed for normal use. Get an easy read on your wireless signal strength to make sure the Zyxel WRE6606 range extender is providing the best possible performance. The red LED indicates the device is out of range to connect with your existing Wi-Fi network. Orange indicates connected connection with the existing wireless network, but the extender may not be at its ideal signal range. Green LED indicates an excellent with your wireless network. 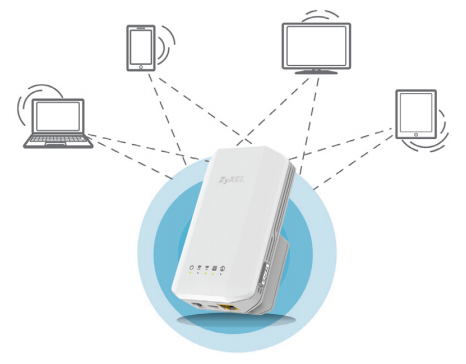 Quickly extend your wireless network if you purchase your WRE6606 range extender with a Zyxel ONE Connect-ready router. 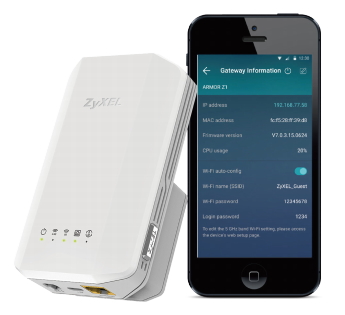 Simply download the Zyxel ONE Connect app and run it to copy the Zyxel ONE Connect-ready router’s wireless settings to the Zyxel WRE6606 extender, enabling one wireless network for seamless roaming connections! * The maximum wireless data transfer rate is derived from IEEE Standard 802.11 specifications. Actual data transfer rate will vary from network environment including: distance, network traffic, building site materials/construction, interference from other wireless devices, and other adverse conditions. Download the Zyxel WRE6606 Datasheet (PDF).